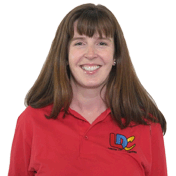 Siobhan is very friendly and outgoing and she would always be responsive to any concerns I had, constantly making me feel relaxed and comfortable during our lessons. Her patience was invaluable and she always helped both professionally and attentively. 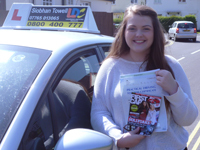 She continually went at my pace and I therefore appreciated learning to drive with her, enjoying my lessons greatly. Siobhan would always center my lessons around what I felt I required and what I wanted to cover the most, especially just before my test. Siobhan was exceptionally helpful with my own personal positive mental attitude, which was a vital trait as it boosted my confidence greatly and helped me to believe in my abilities and ultimately pass my test! The LDC Driving Skills workbook was important in outlining each stage of the learning process and was particularly helpful in reinforcing all my knowledge before my test and I consequently believe it is a very good advantage as it underpins everything that is necessary. I would recommend Siobhan's LDC driving school to anyone who is planning to learn to drive and I wouldn't have been able to do it without her. I am therefore so grateful for all her help and support and will miss having lessons with her! Thank you very much Siobhan! !